Perhaps you’ve seen those signs around your neighborhood in beautiful, lush gardens proudly proclaimed as Certified Backyard Habitat. And you’ve thought, “Hey, I love nature! My yard is pretty green, how do I get one of those signs?” Well, we’re here to help! Let’s talk a little about the Backyard Habitat Certification program and what is needed to get your yard certified. The program started in 2007 to manage invasive plant species and has expanded in the Portland Metro area to include over 670 acres across 3000 properties. It is a great example of how conservation efforts can begin in one’s own backyard but affect the ecosystem on a much larger scale. Property owners who have gone through the process have remarked on the large increase in birds, bees and other pollinator diversity they notice in their yards. By providing food sources and habitat for these vital creatures, we steward our city toward greater sustainability, reduce the use of toxic pesticides and contribute to decreasing our water usage and carbon impact. 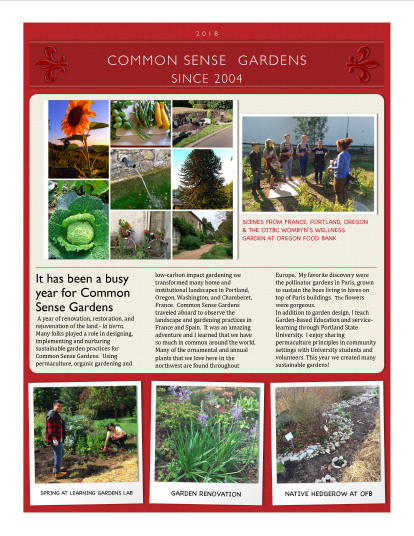 A quick look at the website for the program at https://backyardhabitats.org/ explains the process. Enrollment cost $35, and includes a personalized consult with a technician who provides recommendations for your particular desires for your space. The program also provides discounts for plants and other materials like soil and mulch and access to exclusive native plant sales in the spring and fall. There are three levels to certification: Silver, Gold and Platinum, each with specific requirements to be met. Each level builds on the other and include requirements for removal of certain highly invasive plants such as English Ivy, garlic mustard, knotweed and pokeweed, among others. Each level also requires a percentage (5%-50%) of your planted area to consist of locally native plants. Using native plants improves your ecosystem in multiple ways, including requiring less water, pesticides, fertilizers and most of all, provide appropriate food sources for local pollinator species. The program also requires some stormwater management strategies, which can range from soil restoration by not raking your leaves (yes, that’s right, less work for you!) to removing grass and increasing native plants. Wildlife Stewardship is another important feature of certification, with requirements that can range from adding bird or bat nesting boxes, bird and insect water features, adding insect “hotels” such as mason bee homes or planting native pollinator meadows. Here at Common Sense Gardens, we specialize in creating ecological gardens using natural landscaping techniques. 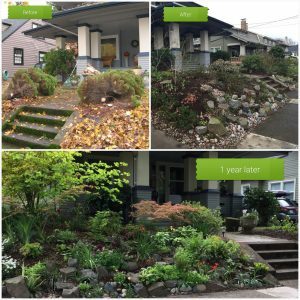 We greatly encourage you to transform your yard to improve urban backyard habitat in our region and would love to help you in the process. 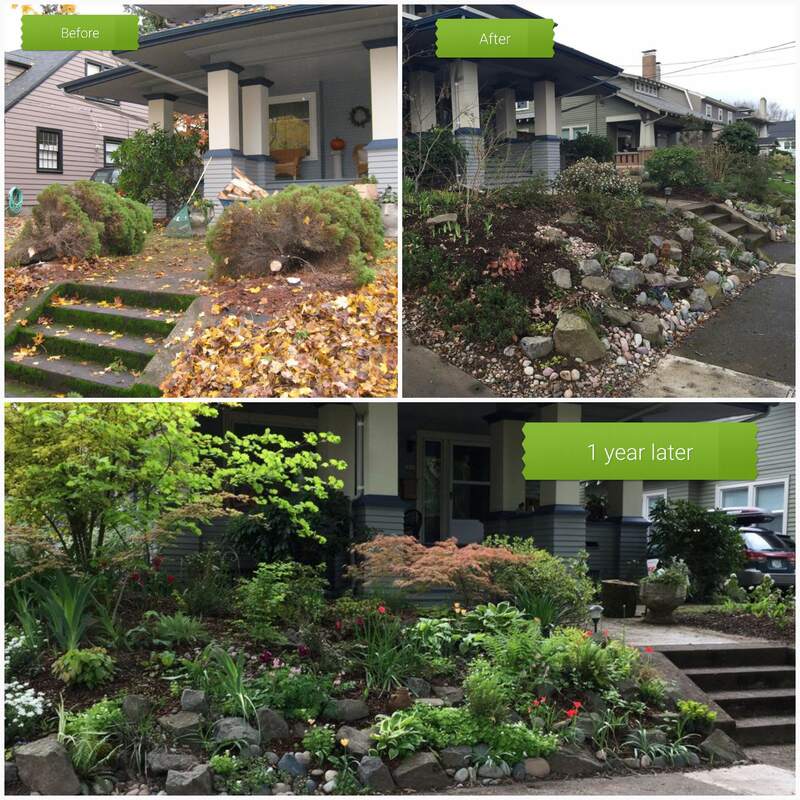 Services we can provide include garden design and advice, building rain gardens and other features, invasive plant removal, sourcing and planting appropriate native plant communities and ongoing maintenance to ensure your yard stays certified. 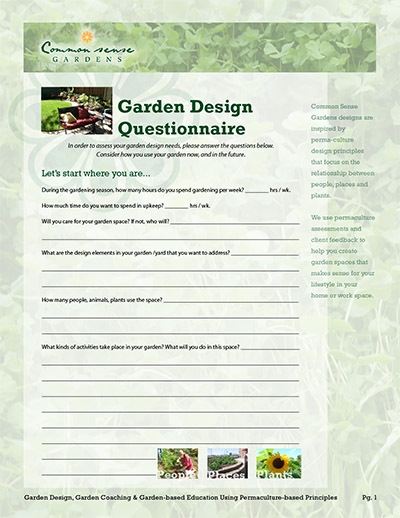 Let us do the work to fulfill your vision of backyard conservation.